Posted April 6th, 2017 by Mike Boyes & filed under Language-Thought, Memory, Motivation-Emotion, Stress Coping - Health. Description: OK so remember a time when you could not find your keys? What did you do? When you found them (assuming the cat or the elves did not steal them) how far were they from where they were supposed to be? Did you employ a systematic search strategy or did you simply curse, swear and wander aimlessly around the house looking for them? Well psychologists have looked at this question. Read the article linked below to see what you should have done! Source: How to find your missing keys and stop losing other things, Christopher Mele, Well, New York Times. So have you internalized all the search tips in the article? The trick, of course is not just recalling them on this pop quiz but actually implementing them when you need to. So remember, do not waste time looking where you know things are NOT; search thoroughly and then do NOT go back and re-search areas you have already cleared; is your “help” planting false suggestions or actually helping? Do you make your valuables more “find-able”, such as leaving your cell phones ringer on so you can call it? Or, go high tech and attach GPS tracking units to your stuff. Above all else remember that forgetting clears space for new important stuff so it is just natural AND adaptive! 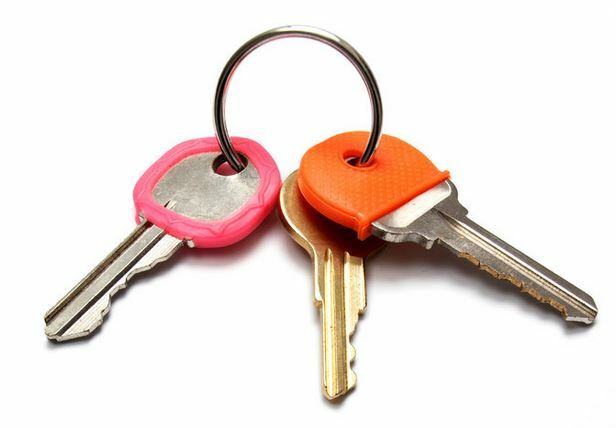 Why do we have trouble finding common things like keys and cell phones? What search strategies can help us when keys vanish? What do we do to work against ourselves in those situations? What additional research should be done in this area? Nowakowska, A., Clarke, A. D., & Hunt, A. R. (2017, February). Human visual search behaviour is far from ideal. In Proc. R. Soc. B (Vol. 284, No. 1849, p. 20162767). The Royal Society.